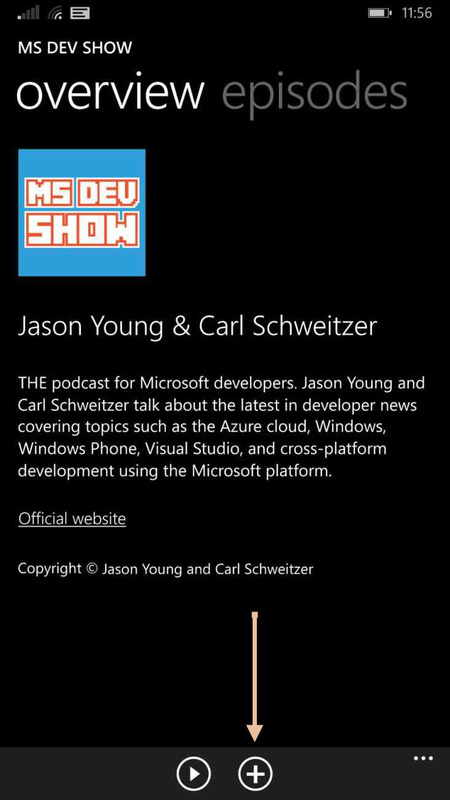 In Windows Phone 8.1, there is now a dedicated podcasting application. This is where you subscribe, listen, and manage all of your podcasts. 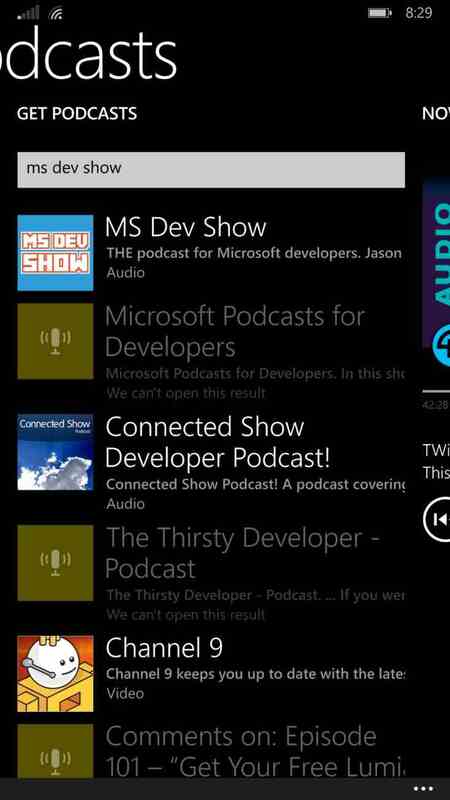 Launch the podcast app and simply search for MS Dev Show. Tap on our podcast. Tap the (+) icon to subscribe.